The ISA Emergency Care Courses bring high quality, appropriate training and certification in emergency care skills to the boating community in Ireland. Training is delivered through ISA Training Centres by people experienced in the marine and boating environment. All course are accredited by the Pre-Hospital Emergency Care Council (PHECC) – the statutory agency responsible for the regulation of standards, education and training in pre-hospital care services in Ireland. This training and certification programme is run in association with The Academy of Emergency Care in Sport a division of the Emergency Care Department in University Hospital Cork. We have a range of courses aimed at Sailors, Motorboaters, Instructors and commercial operators. This course is aimed at anyone participating in Watersports and provides a basic level of competency in Basic Life Support as well as an overview of those every day medical emergencies people are likely to get whether on or off the water. 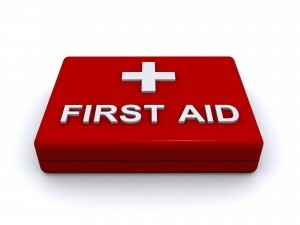 This training course provides participants with the skills and knowledge required to provide emergency first aid in the marine environment where professional medical assistance should be available within 30 minutes. Recommended for watersports participants, instructors and coaches. This 2 day course provides participants with the skills and knowledge required to provide medical aid in the marine environment where professional medical assistance is more than 30 minutes away. This includes offshore and trans-oceanic sailors who may be some considerable distance from shore. Where to do your ISA training course? ISA Training Centres have all gone through a rigorous accreditation process to ensure that they provide high quality training in a safe environment. With Training Centres based in every corner of Ireland there are plenty to choose from for training close to home or while on holiday.